Robot Turtles Challenge Goal: Get the Robot Turtle to the Jewel. Information It's no surprise that this was the most backed board game in Kickstarter history– it sneakily teaches preschoolers the fundamentals of computer programming while providing lots of fun and silliness. It takes seconds to learn, minutes to play and provides endless learning opportunities. One thing you should know from the start is that it's not your typical board game. Sure, there are rules you have to follow and there's a beginning and an end, but there's no single winner. In Robot Turtles, everyone plays to get their Turtle to the matching Jewel. It doesn't matter who gets there first, everyone can win. It's not about competition, but about having fun AND—shhhh, don't tell the kids—learning. And let's not forget the BEST part! 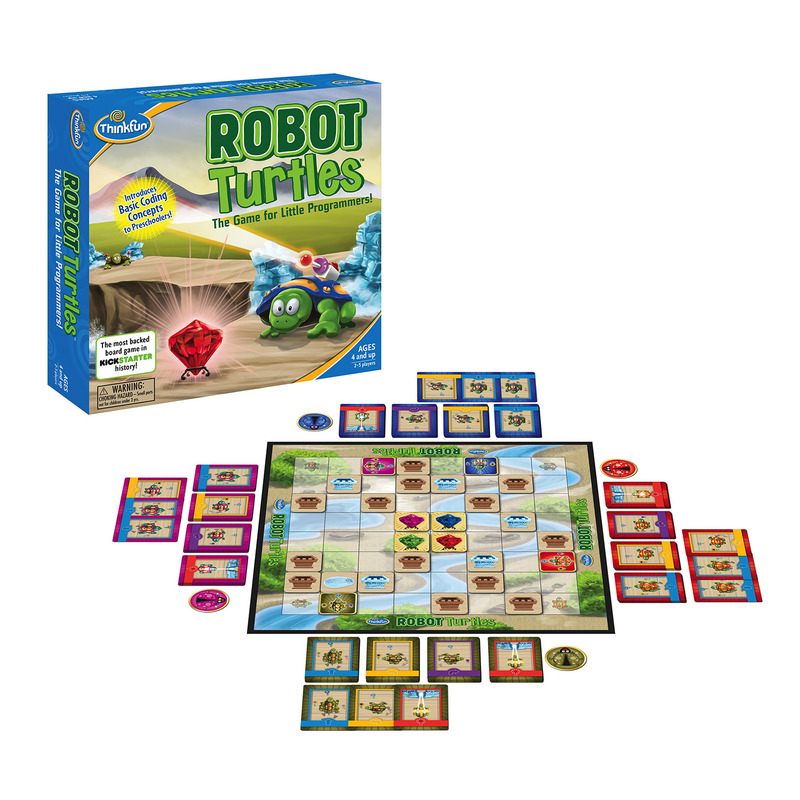 For a successful game kids should play with an adult or an experienced Robot Turtles player. Why is this so great? We've written the rules so the kids get to boss the grownups around while watching them make goofy turtle beeps and boops and zaps! This product was added to our catalog on 17.07.2017.